It didn’t happen quickly. Heck, it took decades to permeate. But fitness has become a big part of the conversation about what it takes to improve as a golfer. Players looking to swing better, faster, longer and, they hope, injury-free have turned to the gym to help achieve their goals. 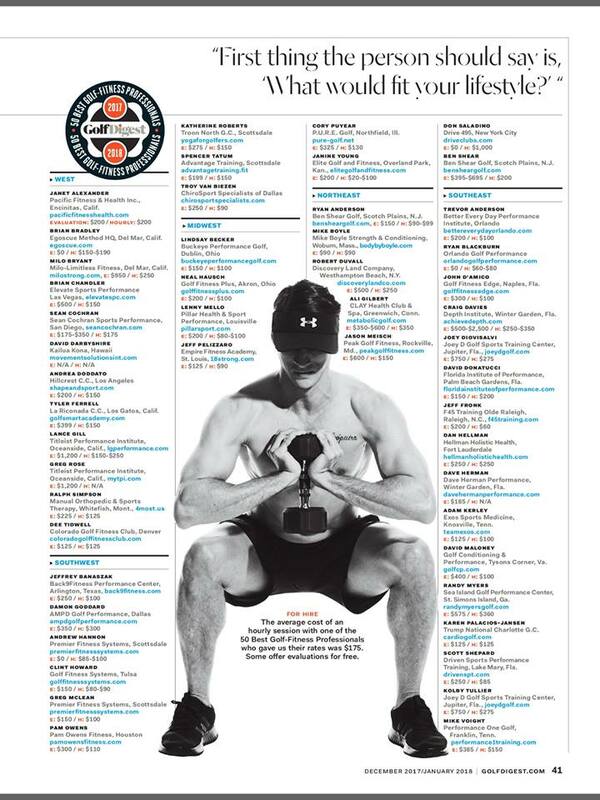 That’s why we believe it’s time to introduce a new ranking—the 50 Best Golf-Fitness Professionals in America.